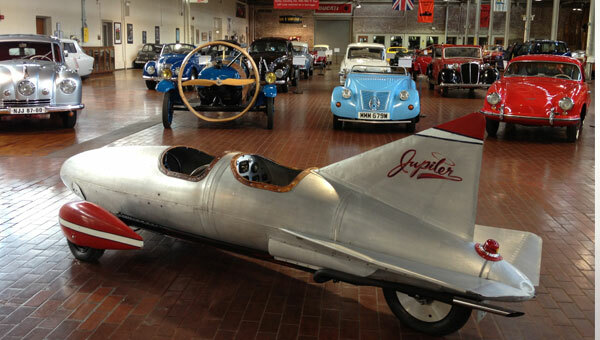 Lane Motor Museum is home to the largest collection of European cars in the US and features an eclectic mix of vehicles that range from propeller-driven, alternative fuel, military, competition, amphibious, prototypes and more. The museum typically displays approximately 170 cars and 30-40 motorcycles though the display is frequently rotated to showcase the nearly 400 cars in the collection. Founded by Jeff Lane in 2003, the museum is a 501(c)3 non-profit organization and is a member of the National Association of Automobile Museums. Assist in the planning and execution of summer events for museum guests and members. Help develop ideas for the ongoing promotion of our main summer exhibit. Assist in the advance planning of the museum’s main exhibit for Spring of 2015. This planning will include input into the graphics and design for the exhibit, plans for media and promotion as well as assisting in the campaign to obtain exhibit sponsorships. Assist in updating the museum website. Create and implement the plan for a summer membership drive. Assist in public relations efforts for museum activities and exhibits. Assist in the planning of the museum’s social media communications. Assist in the creation of museum communication pieces such as the member newsletter and mass emails. Assist in the maintenance of museum communication lists. The candidate will be a college junior or senior who is studying marketing, public relations or a related major and who is available to work 15-30 hours per week. More availability is preferred so we can give you more substantive projects. We are looking for a quick, focused worker who, once given direction, is able to work independently. Experience using Word and Excel is needed. Experience using Adobe design programs such as InDesign and Photoshop as well as a basic knowledge of HTML are desired but not necessary. Additionally, an interest in cars is helpful but not at all required.